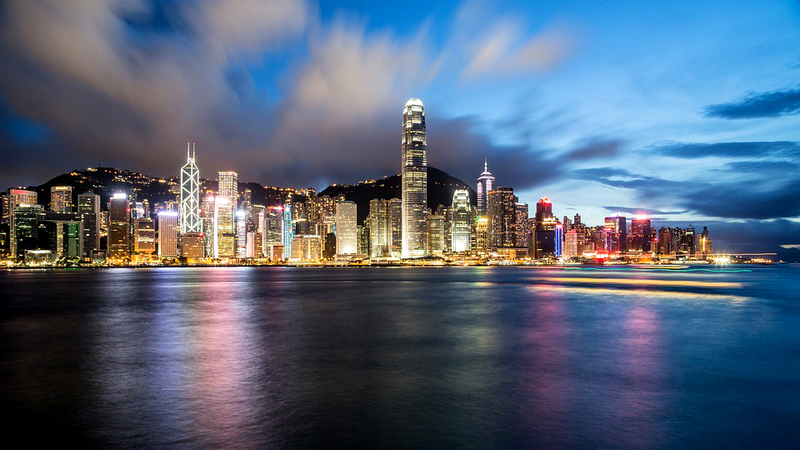 Hong Kong is the most expensive city in the world for expats, pushing Luanda in Angola into second place, according to the latest global cost of living survey. The rankings from Mercer put Zurich in third place, Singapore in fourth while Tokyo is in fifth, up six places from last year and Kinshasa in sixth, appearing for the first time in the top 10 after moving up from thirteenth place. Other cities appearing in the top 10 of Mercer’s costliest cities for expatriates are Shanghai in seventh, then Geneva, N’Djamena and Beijing while the world’s least expensive cities for expats are Windhoek at 209, Cape Town at 208 and Bishkek at 207. Cities in the United States have climbed in the ranking due to the strength of the US dollar against other major currencies, in addition to the significant drop of cities in other regions which resulted in US cities being pushed up the list. New York is up five places to rank 11, the highest ranked city in the region with San Francisco at 26 and Los Angeles at 27 while Portland at 117 and Winston Salem, North Carolina, at 147 are the least expensive US cities. In South America, Buenos Aires at 41is the costliest city despite a 22 place drop from last year, followed by San Juan in Puerto Rico at 67. The majority of other cities in South America fell as a result of weakening currencies against the US dollar despite price increases on goods and services in countries, such as Brazil, Argentina, or Uruguay. Canadian cities continued to drop in this year’s ranking mainly due to the weak Canadian dollar. The country’s highest ranked city is Vancouver at 142, down 23 places, then Toronto at 143, Montreal at 155 and Calgary at 162. Two European cities are among the top 10 list of most expensive cities. At number three in the global ranking, Zurich remains the most costly European city, followed by Geneva at eight and Bern at 13. Other cities, including Oslo at 59 and Moscow at 67, fell 21 and 17 places respectively as a result of local currencies losing significant value against the US dollar. London at 17 and Birmingham at 96 in the UK fell five and 16 while the German cities of Munich at 77, Frankfurt at 88 and Dusseldorf at 107 climbed in the ranking. Tel Aviv at 19 continues to be the most expensive city in the Middle East followed by Dubai at 21, Abu Dhabi at 25 and Beirut at 50 while Jeddah at 121) remains the least expensive city in the region despite rising 30 places. In Asia Pacific Hong Kong is the most expensive city, Singapore remained steady in fourth place, Tokyo at five climbed six places with Shanghai in seventh, Beijing in tenth, Shenzhen at 12 and Seoul at 15, down seven places. The report says that the strengthening of the Japanese yen pushed Japanese cities up in the ranking but Chinese cities fell due to the weakening of the Chinese yuan against the US dollar. Mumbai at 82 is India’s most expensive city, followed by New Delhi at 130 and Chennai at 158 while Kolkata at 194 and Bangalore at 180 are the least expensive Indian cities. Elsewhere in Asia, Bangkok at 74, Kuala Lumpur at 151 and Hanoi at 106 fell 29, 38 and 20 places respectively. Australian cities had some of the most dramatic falls in the ranking this year as the local currency has depreciated against the US dollar. Brisbane at 96 and Canberra at 98 fell 30 and 35 places while Sydney at 42 remained as Australia’s most expensive city for expatriates but still fell 11 places and Melbourne fell 24 places to rank 71.